We’ve written a lot about soil over the years, mainly passing on information that we’ve gathered over 40 + years of gardening. 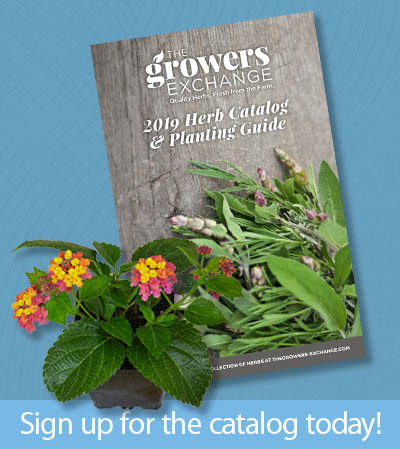 And, although this basic element is so essential to the success of any herb garden, and you’d think we ‘knew it all by now, there is always more to share! We can’t emphasize this enough: knowing your soil, and understanding what to do to improve your soil, is the most important thing you can do to guarantee healthy and happy herbs. Nutrients must be available to plant roots. Too sandy and porous means that the nutrients are not going to stay in the soil, and will not get to the plants. Too compact and heavy, the soil won’t give up the nutrients and compaction around the roots means that you run a good chance of losing your herbs. Sandy soil is easy to dig, but it doesn’t hold nutrients or moisture. On its own, sandy soil cannot provide your plants with the necessary ingredients for growth. Heavy Clay soil is heavy and the clay tends to bind the soil, not allowing air to penetrate and holding water risking rot of your roots. Additionally, that sticky soil will not release the needed nutrients. Loamy soil is a perfect balance that provides your plants with moist and crumbly soil that smells rich and ‘earthy’. A significant component of this wonderful blend is compost, decomposed organic matter sometimes referred to as humus. Loose, well-drained soil. Organic matter is a must, and looking for fertility with a PH of 6.5. Will work with you and get that perfect balance if you are willing to get ‘down and dirty‘, with a bit of compost. When we talk about nutrients, we are talking about the 3 basic nutrients essential for plant growth: nitrogen, phosphorus and potassium. They guarantee plant growth, root development and disease resistance. 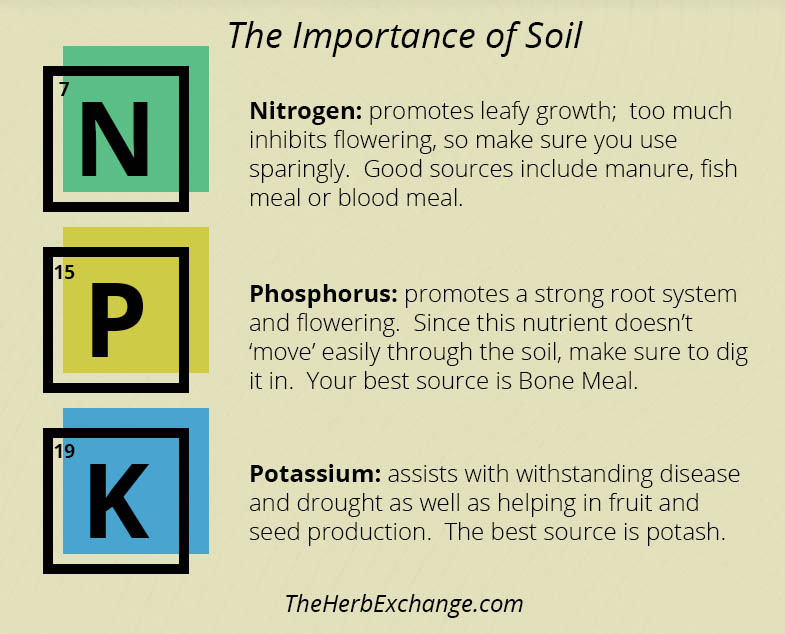 It’s so easy to test your soil, and if you discover a deficiency, simply adding these nutrients back into your soil is all it takes. Nitrogen: promotes leafy growth; too much inhibits flowering, so make sure you use sparingly. Good sources include manure, fish meal or blood meal. Phosphorus: promotes a strong root system and flowering. Since this nutrient doesn’t ‘move’ easily through the soil, make sure to dig it in. Your best source is Bone Meal. Potassium: assists with withstanding disease and drought as well as helping in fruit and seed production. The best source is potash. 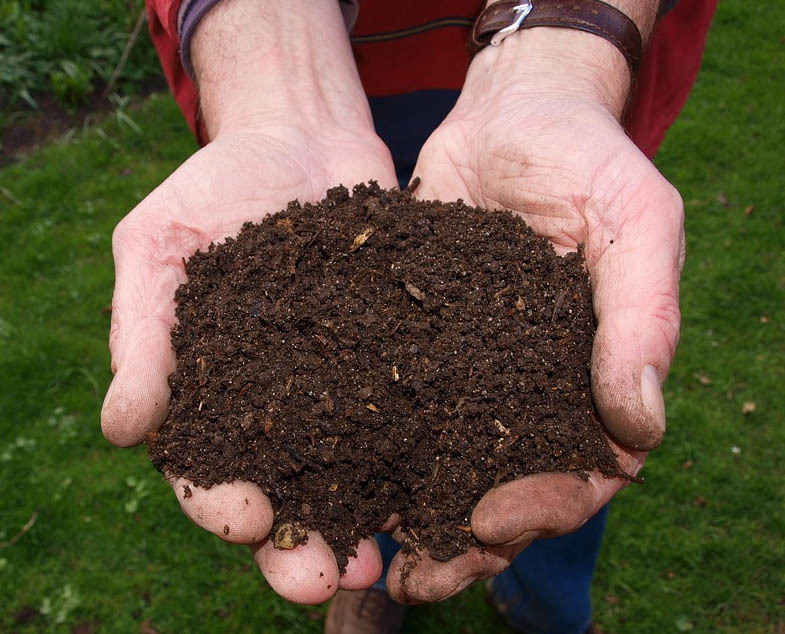 Although there are many commercial sources of compost on the market these days, it’s easy enough to create your own ‘Simple Compost’ using both ‘Green’ material which includes grass clippings, kitchen scraps and manure with ‘Brown’ material consisting of dry leaves, wood chips and sawdust. Keep them in a 3’ x 3’ area, damp but not saturated, and turn frequently to help break down into usable compost. We’ve just received Eliot Coleman’s 30th Anniversary Edition of The New Organic Grower, and here is his more elaborate ‘recipe’ for perfect compost, a make your own that takes a few years to really establish. Coleman suggests 6” of layered garden waste (the green material) that is covered with a sprinkling of topsoil and 3” of strawy manure – he warns of using wood chips. And sprinkle with montmorillonite clay ~ which can be purchased from Amazon! Repeat these layers until you have a nice big heap, and turn once your temperatures rise. Coleman suggests turning again once the heap sinks a bit, and covering with a compost cloth. This mixture is not going to be ready for over a year, so patience is a virtue. Testing the compost after its completely decomposed is a good suggestion, and adjusting for a 6.5 PH is easily achieved with the use of lime or bone meal. As counter-intuitive as this sounds, I know much more about my online customer’s gardens that are literally hundreds and thousands of miles away from my greenhouses than I knew about gardens belonging to my bricks and mortar customers, whose gardens were sometimes less than a mile from my store! The technology that allows you to send that incredible looking meal to your Facebook friends is the technology that allows my customers to share their gardening experiences, both good and bad. Got a problem, no problem ~ send me a photo! Within minutes, we are able to review, assess and get back to the customer with hopefully a suggestion or a remedy that will ensure complete success. But, there are times when there is nothing I can do short of pulling out my hair (well, that’s not a good option any longer) or screaming in frustration. It’s usually about the soil. Yes, one or two photos can tell a scary story and there have been times when it’s too late to offer a remedy; the damage has been done. Soil feeds a plant, and when you have crummy soil, completely depleted of nutrients or clay soil that clings to the roots and basically destroys them, plants will die. Folks, ‘you get what you pay for’ and in the case of soil, don’t be fooled by the lure of ‘topsoil’ or ‘compost’; that doesn’t mean good soil. It could very well be bad soil, complete with residual pesticides or sewer sludge. If you want strong and healthy herbs, provide them a good start and that means a top quality soil mix. Why go to all the trouble to plant a garden if your foundation is weak? 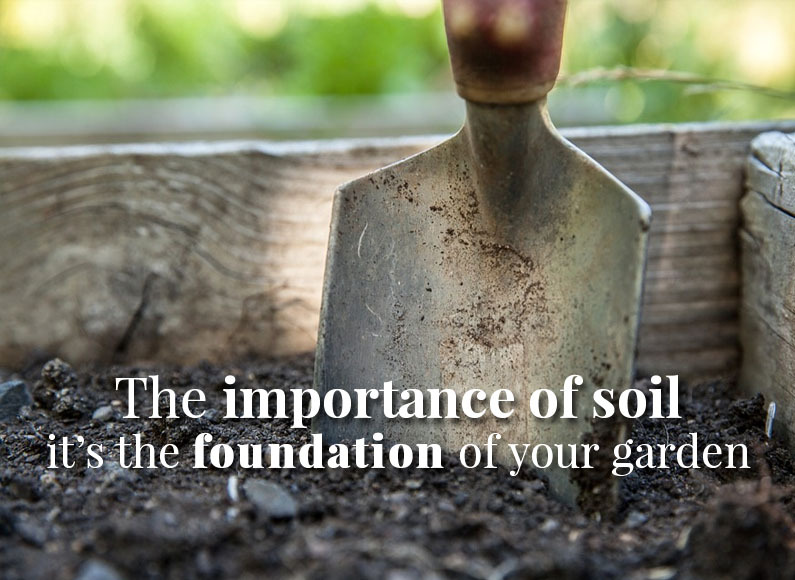 Soil is one of the most important factors in successful gardening, whether in containers or in the ground. If you are buying soil for your containers, just go to a reputable source. Your local garden center will provide a lot of great choices. If you are creating a new garden, then you have as much choice as you would with containers. You get to start fresh, and you can easily build a great soil with just a bit of research. Amending an existing garden will take a bit more time, and in this case, we always recommend having the soil tested through your extension agent. It’s a fairly easy process, but invaluable to successful gardening. But, whatever you do, put healthy SOIL at the very top of your gardening ‘to do’ list, and now is the time to get working on that as we all know, ‘spring is right around the corner’! This isn’t really a ‘comment’ – I just want more information about soil. So I am putting my name on your mailing list! Soil testers bought at local retailers, is this adequate enough to realize what amendments the soil needs, prior to planting? I purchased ‘super soil’ 2 years ago for my raised garden beds. Ive added crazy shed dried eggs n used coffee grounds in the soil each weekend through the winter, in the top 6” soil. Should the super soil (consists of compost+black dirt+sand) be checked each year n amended (and with what)? Please advise! I’ve been told after soul tests that I have too much organic material. So I need to add soil…haven’t found organic soil yet. Couple of issues for me are tree roots seem to migrate into ny raised garden beds. 1. Do I need to remove each year? 2. What type of fertilizer do you use once garden is growing and close to producing. I grow green beans primarily and arugula. 3. Any suggestions to grow squash/zucchini…they always get the bores.